An ancient Hindu temple, dedicate to Lord Shiva. This temple, along with Raja Rajewara Temple at Taliparamba and Sri Krishna Temple at Trichambaram constitutes a temple circuit, known as Moonnidam Thozhal (worship at three places) in local parlance. Having darshan at these three temples in a day is considered auspicious. 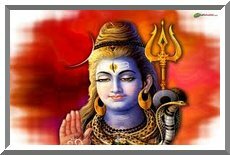 Lord Shiva is worshipped as Vaidhyanatha or Lord of Physicians. It is believed, worshipping this Lord cures skin diseases and eye diseases. The nearby temple tank is believed to have medicinal properties. Devotees with these diseases used to take bathe in this pond before worshipping the lord. The temple is about 12 kilometers from Taliparamba.